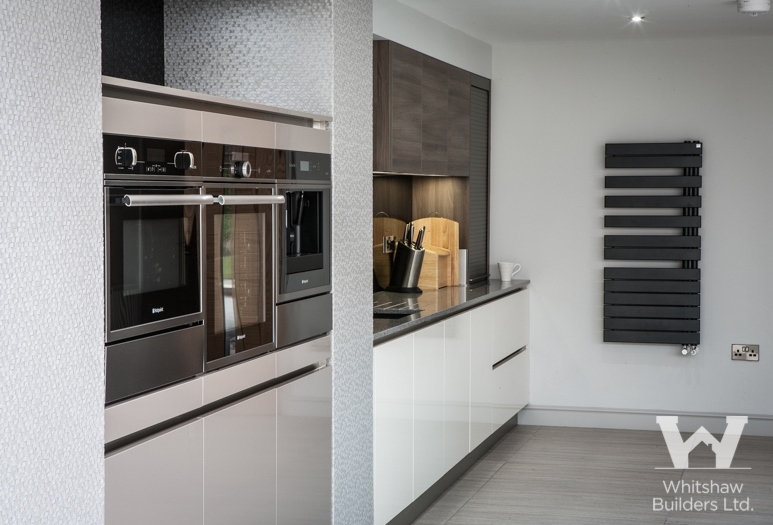 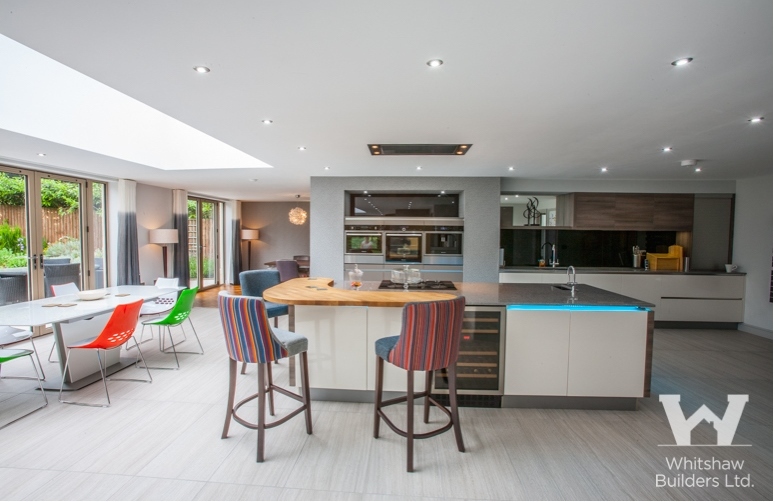 The clients chose a mix of materials: laquered white and cashmere doors are complimented by contrasting grey accacia surround panels and a 20mm grey quartz worktop overlaid with a curved solid walnut breakfast bar. 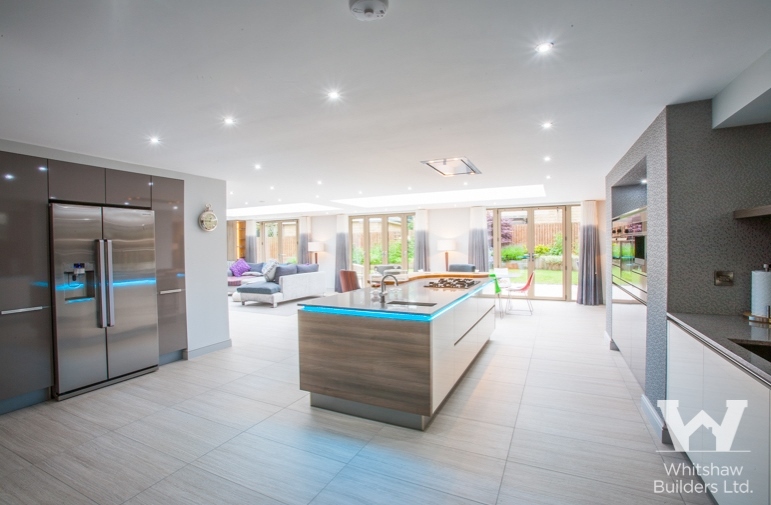 Midi units housing Luce appliances are encased within a stud wall, mirrored on the opposite wall by an American fridge freezer surrounded by lacquered larder units. 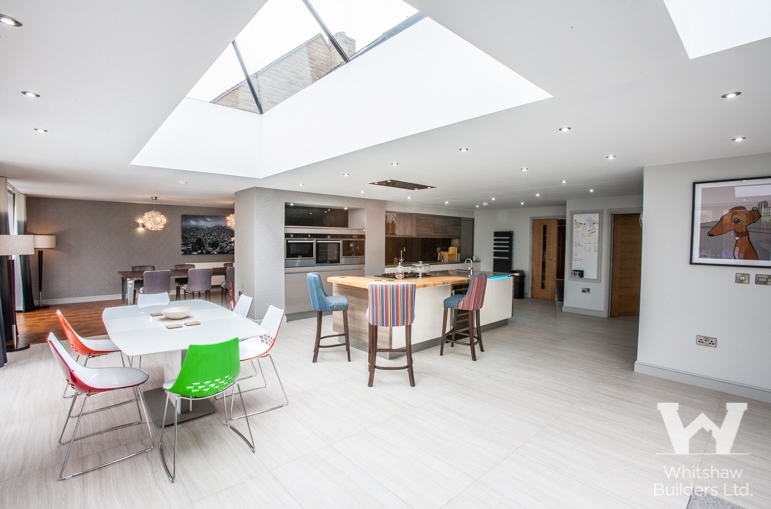 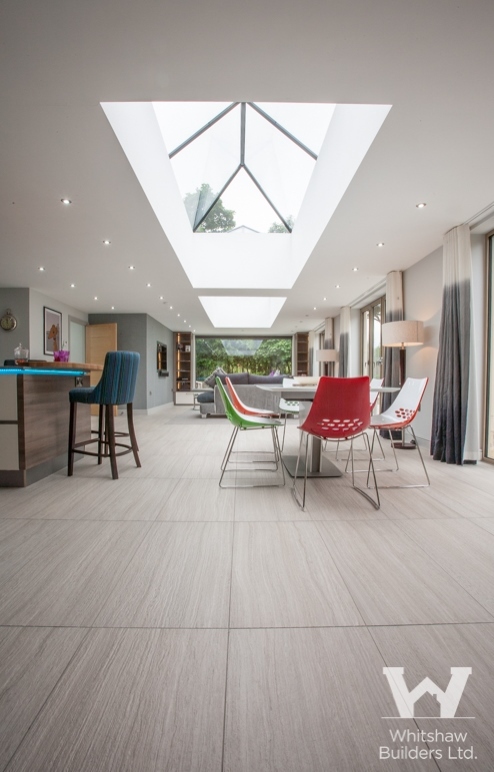 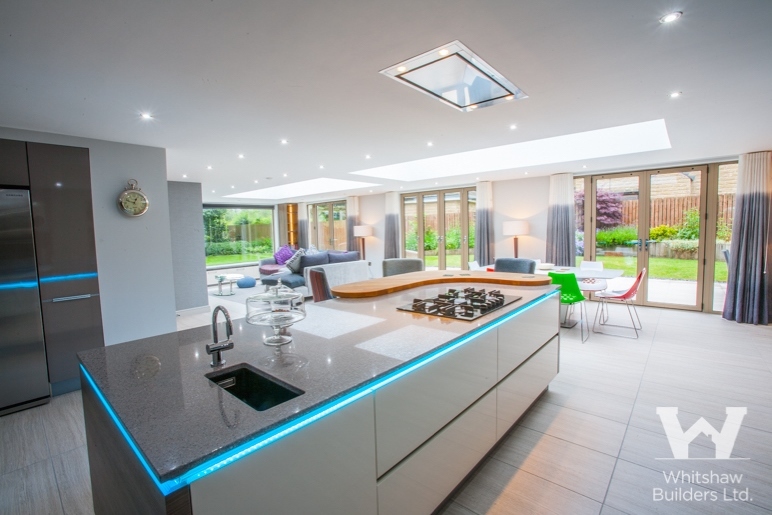 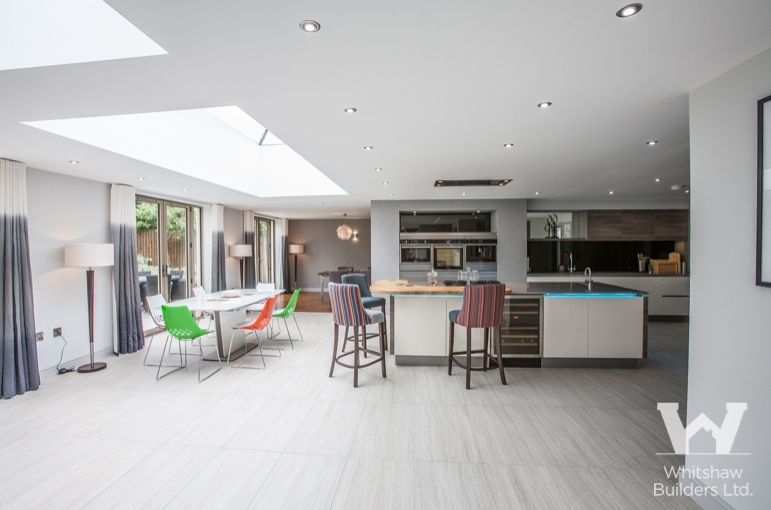 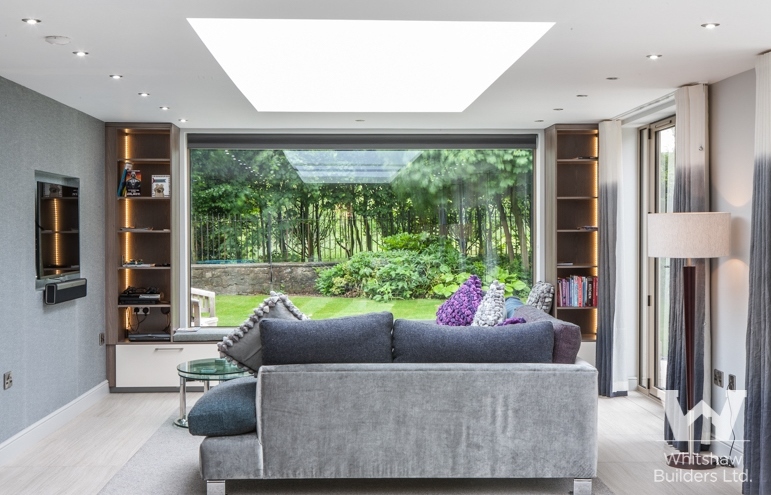 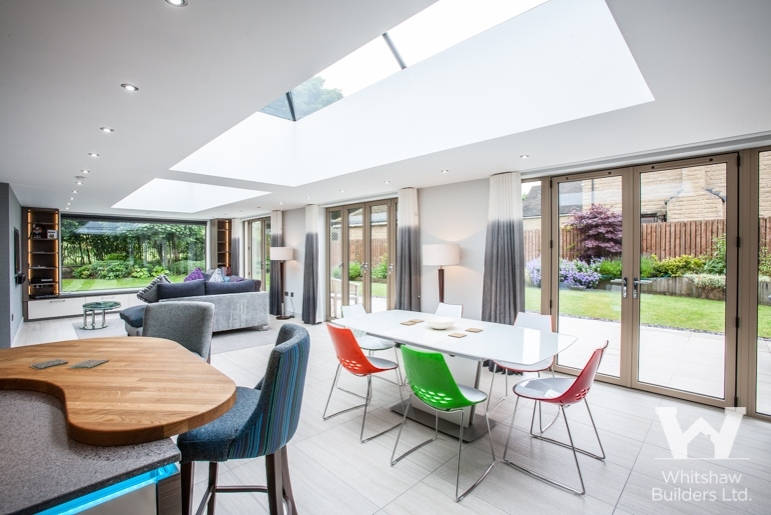 The large central island is home to a gas hob, prep sink and wine cooler with coloured LED strip lights that help create a real space for entertaining.